Are we teaching our children enough to help them create financial freedom? Americans has $0 saved for retirement. According to a 2018 Value Penguin survey, 41% of U.S. households have credit card debt. On average, they owe $9,333 with the Federal Reserve reporting an average interest rate of 15.32%. 69% of millennials want to get over their anxiety about money and 32% are unsatisfied with their financial lives, says the 2017 Wells Fargo Millennial study. And FINRA Investor Education Foundation’s 2016 study found that two-thirds of Americans can’t pass a basic financial literacy test. The point of these statistics is to say that we use money every single day of our lives, but we have not been taught how to manage it…nor are we fully equipped to teach our children to manage theirs. To shift these current statistics for the better, we need to change our relationship with money. We need to stop focusing on what we don’t know or don’t have and transform the conversation into what we do know. We need to free ourselves to talk about money. When parents and children gather together to play the CashCrunch financial education games, their number one comment is: “I wish I was taught this when I was at school.” It’s never too late to learn how to speak about or manage our money. Personal finances and financial challenges have long been listed as taboo conversation topics, which naturally compounds the problem. No talkie, no helpie. We talk about “financial freedom” as the point of having sufficient funds for retirement or to raise our children, yet without freeing ourselves to talk about money. As a consequence, reaching the point of financial freedom becomes exponentially more difficult (if not virtually impossible). Financial freedom means opportunity and choice. Debt debilitates. In order to have financial freedom, conversations and understanding about money must occur. It’s time to change the way we chat about our cash as adults and with our kids, and to welcome money matters into our discussions in an engaging and less restrictive way. We can do so by changing the conversation from frightening statistics to one of financial support. Over the course of twelve years, I taught Business Studies in the UK, immersing myself in marketing, human resources, operation management, external influences, and finance. However, introducing and teaching finance came part-and-parcel with unique and fascinating jerk-reflexes. It became quickly apparent that not only did students not know how to speak about finances, they also had an instant “I can’t do that” attitude with regard to any of the topics presented. During the same time, I taught a year of math, which further revealed just how much students were intimidated by money. In the process of my own learning about math and money, I discovered that there was a better way of teaching finance – one that flipped their attitude from “can’t” to “can.” That method was by making money fun and making financial concepts more relevant to the kids by creating financial experiences for them. So much can be made possible when we empower our children with knowledge…though financial education has to be made enjoyable, like connecting money to the real questions and challenges our students and children face in their lives. From my experience in the classroom, I built games that allowed my students to have experiential learning – creating their own personalized experiences of money management. As they shaped these experiences, they began to naturally open up the conversation around money. They were speaking, candidly, with authority and with excitement, about financial concepts without even realizing they had both learned and applied the classroom teachings. From there, it was simple to add in theory and terminology to expand their basic understanding and empower them with real-life tools. It’s easy (and much less intimidating) to incorporate learning into a relevant conversation. The more we talk about money amongst ourselves and with our kids, the more we come to understand…and the less the topic becomes taboo. We can help our children become financial experts. decisions about their money; and teach their peers about money and concepts. If you make a child an expert, they will tell you everything they know. Their excitement is contagious and they will guide you through the process of their own learning while sharing it with others. As parents and teachers, we are the ones who lead the change. 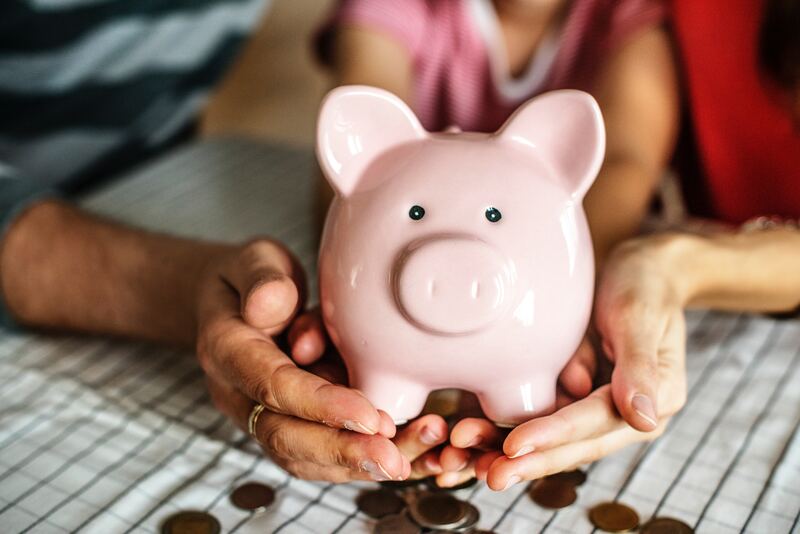 By initiating relevant and applicable conversations about financial matters, we empower our children to think and talk about the value of their money, thereby setting them up for smarter money decisions and ultimate financial freedom down the road. What can you do to support your child or children’s financial literacy and freedom? 1. Ask and listen in to discover what they already understand about money. 3. Make financial conversations a regular occurrence (rather than stifling the topic and making it feel taboo). 4. Help your child realize that they are making money decisions all the time. We have the power to shift the current financial literacy reality into something more hopeful in generations to come. It all begins with our choice to transform the dismal financial statistics into financial support through the freedom to talk about money. When we empower our children through financial education, it’s a win-win for all, because in the process of helping our children learn, we may very well be empowered with knowledge and tools that will help us improve our current financial reality.